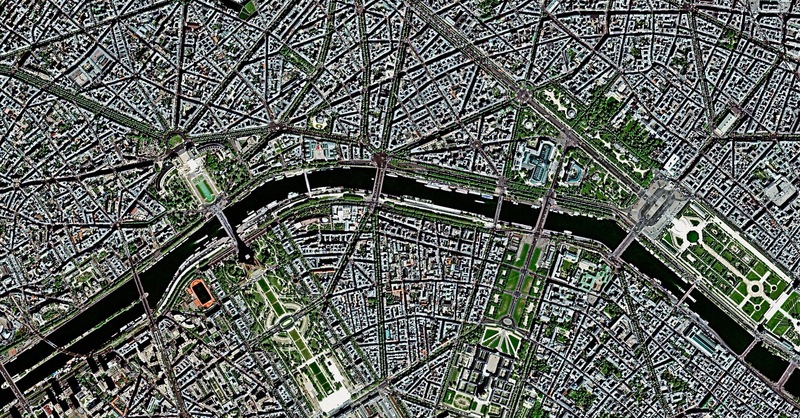 Satellite constellations — hot topics du jour in the space industry — take center stage at this year’s World Satellite Week, during the 8th annual Summit on Earth Observation Business in Paris, France. On Friday, Sept. 16, UrtheCast President and CEO, Wade Larson, will discuss UrtheCast’s planned constellations, UrtheDaily™ and OptiSAR™ — both unprecedented offerings for the future of the Earth Observation industry. While UrtheCast was awarded Euroconsult’s Strategic Transaction of the Year prize in 2015 for the company’s acquisition of Deimos-Imaging, this year, UrtheCast is pleased to have been named by Euroconsult as one of the top NewSpace startups to watch. Friday, Sept. 16, 9 a.m.
Friday, Sept. 16, 12:30 p.m. Designed to image the entire global landmass every day at 10:30 a.m. (save for Antarctica), UrtheDaily is anticipated to become the first global-scale EO system of scientific-grade data — capable of powering geoanalysis, machine learning, and artificial intelligence. Designed to become the world’s first fully integrated, multispectral optical and Synthetic Aperture Radar (SAR) constellation, OptiSAR is expected to revolutionize the world’s ability to monitor the planet — day and night, rain or shine. Announced May 2, 2016, UrtheCast has successfully completed prototype hardware testing of the principal core enabling elements of this ground-breaking SAR technology. 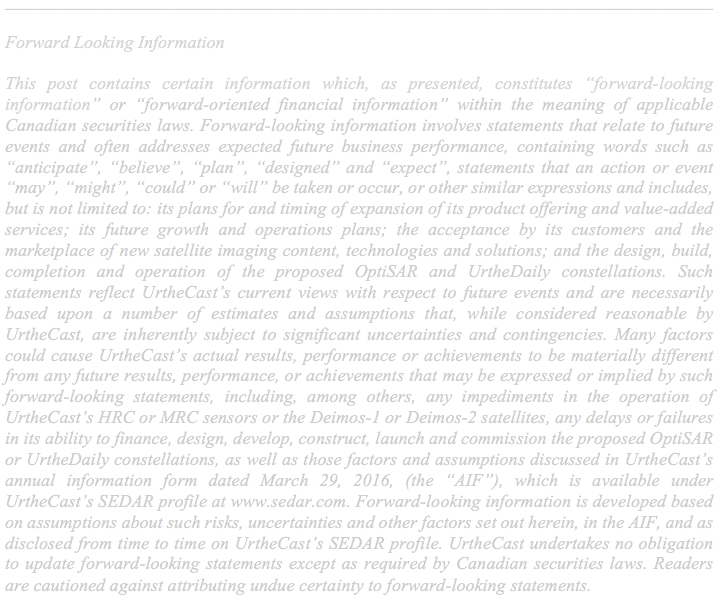 Learn more about OptiSAR, here.